Researching for the Peninsular War saga, I’ve met a few characters along the way and other than Lord Wellington, one of my absolute favourites has to be General Robert Craufurd, known to the army as Black Bob, the irascible genius who commanded the Light Division, the elite troops of Wellington’s army. 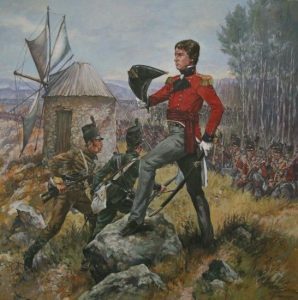 When I first created Lieutenant Paul van Daan who marched into the barracks of the 110th foot in 1802 ready to take over, my research into Wellington’s army was only just beginning. I wasn’t sure how he was going to fit in. I had thought, early on, that he might turn out to be one of Wellington’s exploring officers, a bit of a lone wolf, since he wasn’t really much like the other officers. That idea was quickly abandoned. Mr van Daan, it turned out, was better at the army than I thought he might be. Besides which, extensive reading made it really clear to me that there was only one natural place for an over-confident individualist with a perfectionist attitude to training and a liking for eccentric characters. Paul van Daan, although he didn’t know it yet, was clearly destined for Wellington’s Light Division under the grumpy, over-sensitive genius, General Robert Craufurd. Craufurd was from a Scottish family and joined the army at fifteen. He has a surprising amount in common with my fictional character, Paul van Daan. Like Paul, he took the army seriously, studying at a military school in Berlin and travelling all over Europe and to South America and India on various postings. Like Paul, he had varying success with his commanding officers. He gained the reputation of being difficult, rude and bad-tempered. More than once he seriously considered giving up the army, so disgusted was he with how poorly it was run in places. Like Paul, Robert Craufurd married for love and was devoted to his young wife. Mary Holland was a granddaughter of Lancelot Capability Brown the landscape designer and Craufurd was thirty-six when they married. He fell in love relatively late but he fell hard and it was a source of exasperation to his future commanders, particularly Lord Wellington, that he frequently requested furlough home to see his love. 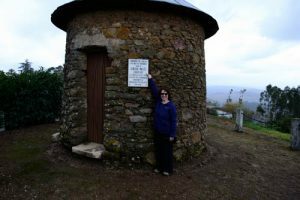 When Craufurd was in the Peninsular, Mary spent some time in Lisbon to be close to him and he returned to England, incurring the wrath of Wellington, for several months during 1811, arriving back literally on the battlefield in time to save the day at Fuentes de Onoro. He had four children, three boys and a girl. In 1808, Craufurd sailed for Corunna in Spain to reinforce Sir John Moore’s army. Under Moore’s reorganisation, General Robert Craufurd was given command of what was called the 1st Flank Brigade which comprised the first battalions of the 43rd and 52nd and the second battalion of the 95th rifles, all light infantry. The 2nd Flank Brigade, interestingly was commanded by Brigadier Charles von Alten who was to become Craufurd’s successor in command of the light division. When Moore realised he was at risk of being cut off he began a brutal retreat to the coast. The two flank brigades marched separately towards Orense. Men died of cold and starvation and illness although unlike Moore’s main force they were not pursued by the French. The retreat became famous for Craufurd’s brutal discipline, although surprisingly the enlisted men did not seem to resent this. They considered that their safe arrival was due to their commander’s iron control of his brigade. At the coast they awaited stragglers before returning to England, emaciated, sick and in rags. Craufurd’s brigade, by now, known as the Light Brigade, returned to Portugal in May 1809, but poor weather delayed their sailing and despite a forced march which covered 45 miles in 26 hours they just missed the battle of Talavera. Nevertheless, it is clear that despite numerous personal differences, Lord Wellington knew the worth of his most difficult commander and the Light Brigade was increased in number to become the Light Division, the elite troops of Wellington’s army. Trained skirmishers, they could move fast and travel light and the French learned to fear them. Craufurd was one of the few men that Wellington the control freak, trusted out of his sight. The only generals with whom Wellington would ever enter into explanation and discussion were Hill, Beresford and Craufurd – the rest were simply given their orders and expected to obey them. During that difficult winter Craufurd was sent with his division to hold the Allied outposts, patrolling the border and engaging in constant skirmishing with the French while other divisions rested. By the time Wellington was ready to advance his army to the border, chasing Massena out of Portugal, Craufurd’s light division was legendary, a force of tough individualists led by the man often described as the rudest man in the army. General Robert Craufurd had an unusually good relationship with his enlisted men despite being a harsh disciplinarian, very willing to use flogging. 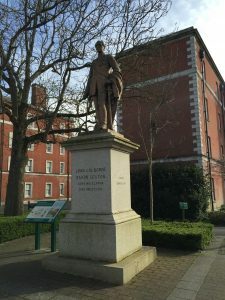 This was because despite his strict reputation, he was also known to care for the welfare of his men in a way that few generals did, working hard to ensure that they were fed and well-equipped. He seemed often to be more comfortable with the men than their officers. With a few notable exceptions, the officers of the light division did not like Craufurd. He had an uneven temper and thought nothing of yelling at officers in exactly the same way as he did the men. They considered him rude, sarcastic and a bully. In 1810 Craufurd was keen to show that the confidence which Wellington placed in him was not undeserved. A sensitive man, he could not forget that he was four years older than Beresford, five years older than Wellington, eight years older than Hill, but still a junior brigadier-general in charge of a division. He was older and had been in the army longer than most of Wellington’s other commanders but promotion was slow in coming, possibly because of his somewhat abrasive personality. The Light Division was moved up to the Spanish frontier, and settled in the villages around the fortress town of Almeida with its outposts pushed forward to the line of the River Agueda. From March to July 1810 Craufurd accomplished the extraordinary feat of guarding a front of 40 miles against an active enemy with six times more men. Not once did the French split his line or find out any information about Wellington’s gathering forces at his rear. He was in constant and daily touch with Ney’s corps, but was never surprised, and seldom pushed back; he never lost a detachment or sent his commander false intelligence. General Robert Craufurd’s activity on the border that year gave Wellington everything he needed for the coming campaign. 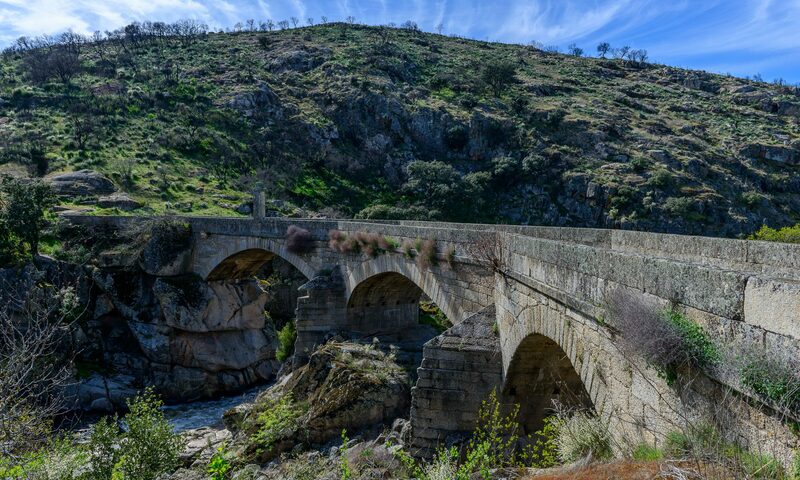 There were four bridges and around fifteen fords between Ciudad Rodrigo and the mouth of the Agueda, all of which were practicable in dry weather and some even after a day or two of rain. Craufurd insisted on reports being made on the state of the fords every morning. Beacons were set up on the heights so as to communicate information about the French movements and it took less than ten minutes for his division to get under arms in the middle of the night, and a quarter of an hour, night or day, to bring it in to full order of battle with baggage loaded and assembled. 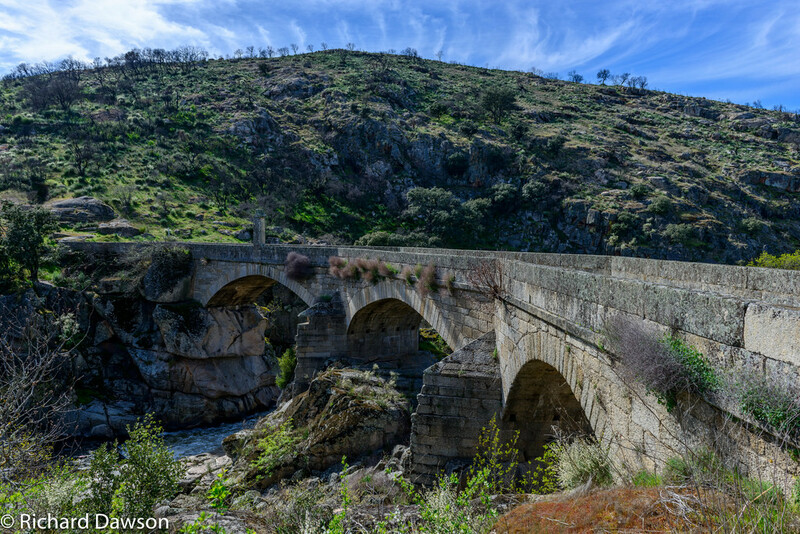 One of the light division’s most famous skirmishes during this period came at the old Roman bridge at Barba del Puerco. Ferey sent six companies of voltigeurs, the French light skirmishers, to take the bridge before dawn. He was able to bayonet the sentries on the bridge before they could get off a shot and was halfway up the slope towards the village of Puerto Seguro, but Craufurd’s system was foolproof and within ten minutes Sydney Beckwith’s detachment of rifles were upon him. They drove him down the slope and back across the river at speed with the loss of almost fifty men, while Beckwith lost only four men killed and ten wounded. At this point, in my novels, Paul van Daan’s battalion of the 110th is still operating independently under Wellington’s command. Increasingly, however, Wellington is sending Paul into action with the Light Division. Initially the Captain of the 110th light company, Paul is now beginning to train his entire battalion as skirmishers and it is clear where he wants to be. His relationship with Craufurd is surprisingly good, although with the frequent explosions to be expected of two determined individualists. Their relationship might not have survived their very public disagreement at the Coa when Paul disobeys Craufurd’s direct order so that his men can cover the retreat. It is Anne, newly married, who persuades Paul that as the junior of the two it is Paul’s job to apologise. From this point on, no matter what their differences, Craufurd and Paul present a united front, something which must have surprised many people. As with many other relationships in the army, Paul’s path is smoothed by his lovely, clever wife’s diplomatic skills and she and Craufurd are firm friends. At Bussaco later that year, Craufurd more than redeemed himself, and Wellington was annoyed when his general insisted on returning to England for the winter to see Mary and recover from some health problems. He threatened half heartedly to give Craufurd’s division to another to command, but the disaster of Sir William Erskine’s temporary command of the light division made it unlikely he would ever carry through on that threat. In May, Craufurd reappeared on the field at Fuentes d’Onoro to the loud cheers of his men, a typically theatrical entrance. He then proceeded, within twenty-four hours, to demonstrate just how it was done when he saved the 7th division and the whole of Wellington’s right flank by making a textbook fighting withdrawal. By now, Paul is in charge of the third brigade, finally part of the light division, and takes an important part in the battle. Robert Craufurd was promoted to Major-General on 4 June 1811. Seven months later in January 1812, Black Bob Craufurd was shot down in the lesser breach during the storming of Ciudad Rodrigo at the age of 48. Typically, he was high up, shouting orders to his men and did not seem to have realised how exposed his position had become, standing in two fire lines. Typically, in my story at least, it was the youngest and most awkward of his brigade commanders who helps carry him from the field and is with him to the end. The men of his light division were devastated. Craufurd took four days to die, the bullet having passed through his lung and lodged against his spine, and he was buried with honour in the breach where he had fallen. Wellington mourned him deeply and must have frequently wished, through the rest of the war, that his most difficult but talented commander had survived to make the journey with him. Craufurd and Wellington were not close friends although in some ways they were very alike. Both were brilliant commanders, clever and well-educated in military matters. Both could be demanding, meticulous and found it hard to tolerate anything but perfection. Both struggled at times with managing their officers although Craufurd was better than Wellington with his enlisted men, something he shares with his fictional junior. The two men had an enormous respect for one another. Craufurd was a sensitive man, considering his own rudeness at times, and Wellington frequently offended him but always made sure to put it right by complimenting Craufurd’s many talents soon afterwards. He deeply mourned his difficult, irascible commander and on his deathbed, Craufurd apologised for the many occasions he had been less than supportive of his commander in chief. The next commander of the Light Division was a surprise to many. General Charles von Alten was German, very correct, very likely to obey orders, very different to Black Bob Craufurd. Military historians have not all been kind to Von Alten, although he seems to have commanded the division very competently through the rest of the war. He appeared to lack the zest and panache of his somewhat eccentric predecessor. In my novels, there is a reason for Wellington’s choice, and it is summed up very succinctly by Anne van Daan, speaking of Von Alten. While the 43rd and 95th were dealing with the French on the Rhune, there still remained one very strong star-shaped fort below on the Mouiz plateau which reached out towards the coast. This was attacked by Colborne’s 52nd, supported by riflemen from the 95th. Once again, the French were surprised and the British succeeded. They had, in the French eyes, appeared from the ground at which point, in danger of being cut off, the French soldiers quickly fled leaving Colborne in possession of the fort and other trenches without loss of a single fatal casualty. It sounds like the kind of action at which Robert Craufurd would have excelled. Perhaps after his death Wellington realized that the officers and men he had trained had turned into independent skirmishers to such a degree that a Charles von Alten was needed to rein them in. Perhaps it was true that while he had men like Colborne and Vandeleur and Barnard, he did not need another Robert Craufurd. Whatever the truth of it, I love Craufurd, a brilliant, flawed and very human man who believed in God, loved his children and adored his wife. Thanks for reading. If you’ve enjoyed this article and would like to sign up to my e-mail list for articles about history, travel, book reviews, the occasional fiction giveaway or simply Writing with Labradors, join here.